Rabbit Litter Soon after First Litter? When we got back from dinner Mum saw the babies and we didn't know when the babies were born but all we knew was we had kittens and they were together all day. We separated them the night we found them but still they might have mated during the day. And we think the doe might be pregnant again because she is eating a lot but don't have any idea. Comments for Rabbit Litter Soon after First Litter? My rabbit had her first litter a month and 2 weeks ago, we lost all 4 babies. We separated dad and doe immediately after we had our surprise litter. He was neutered 1 week after she had the litter. We kept them separated and then my husband was over them being separated and having the doe in the house, so after the last baby died at 4 weeks old, he put mom and dad back together. Well SURPRISE! she had another litter of 5 babies a few days later!!! So far they are thriving, but they just turned 2 weeks today and I can tell that she is pregnant again!😔 I'm guessing she is 3 weeks pregnant (from when we put them back in the same cage). Which means she will be having them in a week! But when this happens will the two lots of babies be ok together, the first lot are four weeks old. In the wild, the pregnant doe abandons the first litter to its own devices just before she is ready to kindle the second litter. This means the bunnies are 26 to 28 DAYS old, and on their own entirely, because the doe is building a new burrow in preparation for the new litter which will be born when the older kits are just 31 days old. This insinuates to me that the doe probably doesn't want the first kits around, and may drive them away from her, potentially hurting individuals from either the first litter or the second (by accident) if the kits don't get the message immediately. That's why we offer free, and cheap, rabbit cage plans, so if you need to, you can make an extra cage or two. 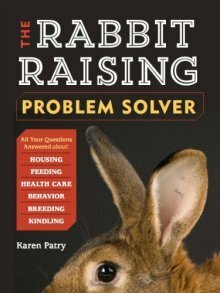 RE Rabbit Litter Soon after First Litter? Yes, it is normal for the doe to mount the buck. I have had that happen a few times with my rabbits. That means the doe is ready to be bred. It is natural for a doe to breed again right after having her first litter. If you do not want your doe having any more litters, just put the two rabbits in separate cages.